Is Danny Dyer heading into the Love Island villa? It sure seems like it! We've been dying for answers for weeks now, about whether actor and British icon, Danny Dyer, would be heading into the Love Island villa - and it looks like it's officially happening. 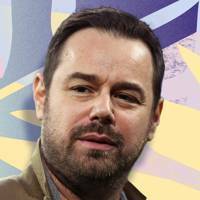 Danny Dyer, not to be confused with daughter Dani Dyer, will be entering the villa to meet Dani's new boyfriend Jack, during the 'meet the parents' episode of the show. The news comes after it was thought the 40-year-old wouldn't be able to make it due to prior commitments. Dyer wrote on Twitter this morning: "I've only gone and made the shortlist for the TV choice awards. If you fancy it whack a vote my way... right... I'm off to the villa.. to sign my future son in laws canvas... 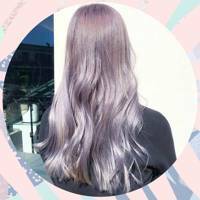 lovely." Dyer's daughter, Dani, has been coupled up with pen salesman, Jack Fincham, since the beginning of the series, and the two of them are now officially boyfriend and girlfriend after they both popped the 'L' word. If they don't win and take that £50,000 we're going to be so mad. We're fully rooting for Dani and Jack, given that they're the only couple left on the show who haven't broken up because their partner looked at someone else - now that's relationship goals.